Should I Sell My Car To Car Removal Company Or An Individual? 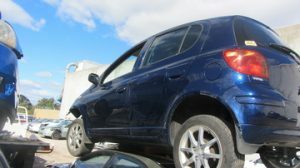 Should I Sell My Car To A Car Removal Company Or An Individual? If you have an old unwanted car in your garage which you want to get rid of now, you must be thinking who to sell it to get the best cash in return. Should you sell it to the car removal Perth companies or should you sell it to an individual buyer? Read on to know what is the scenario in the car selling ecosystem and why is it not beneficial to sell your car to an individual buyer. 1. Individual car buyers buy the cars to keep with them. They want a car that is in running condition. A car that is not in running condition, just doesn’t interest the individual buyers. There’s nothing good in the car for them. However, for the cash for cars companies, the condition of the car doesn’t matter as they buy the car to wreck it later so they can generate scrap metal out of it and sell it for the recycling purposes. 2. Individual buyers have favorite brands and models of the cars. They might reject your car on the basis of the make and model or they can pretend that it’s not their favorite brand but they still want to buy it at a lower cost. On the other hand, Cash for Cars companies don’t have any limitations in the car’s make and model. When the car goes into the wrecking machine, the make and model of the car don’t matter at all. That’s a plus point of contacting a cash for cars removal company. 3. Cash for cars service providers pay instant cash. The individual buyers may or may not pay the cash instantly, but cash for cars companies pay cash instantly as soon as you agree on the price. Cash for Cars companies are licensed to offer you the top cash for cars services. 4. When you contact the cash for cars removal company in Perth to sell your car, you get free car removal services. While contacting an individual buyer to sell your car you might have to contact a car removal company separately and you might have to pay for the car removal services as well. All in all, contacting a cash for cars removal company for selling your old cars looks beneficial.